Orientation is on Saturday, August 18, 2018 from 9 to 10 am at the Henry County YMCA. Class will then meet every Tuesday Morning from 7:30 - 9:30 am. Various businesses and sites throughout Henry County. More information will be given at orientation. 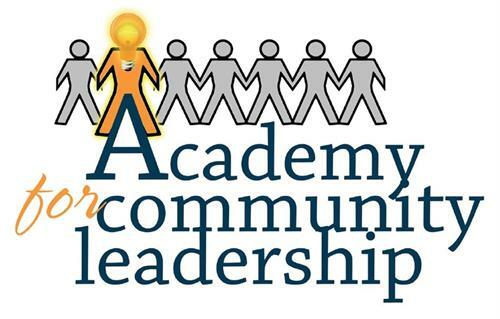 The Academy for Community Leadership is designed to develop an informed citizenry who will influence Henry County’s future. The Academy encourages the development, education, training and motivation of current and future leaders to meet the challenges of future decades. The Academy enriches the community by preparing promising persons to assume leadership roles in various agency, civic and business organizations in the community. The Academy’s goal is to identify people who are emerging leaders within New Castle and Henry County. Through contact with a wide variety of experts, participants will expand their leadership skills, knowledge and influence in the community. 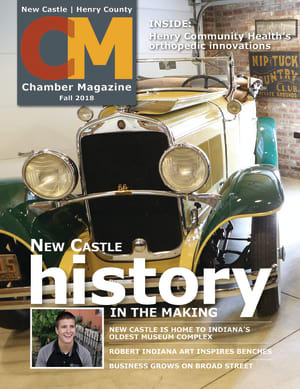 It is an educational forum which includes interaction with other members of the class and guest panelists—people who shape the New Castle and Henry County of tomorrow. It is an opportunity to network with other community segments and perspectives. The sessions are Tuesday mornings from 7:30—9:30 am. The sessions include presentations by guest panelists as well as questions and general discussion. The discussions provide exposure to differing perspectives of many of our community challenges, thus helping participants prepare for their future roles as community leaders. In addition to attending weekly sessions, each participant will complete an individual or group project relative to Henry County needs. These projects are kept in public files in the Chamber office. The program is limited to the first thirty enrollees and early enrollment is advised. Businesses and organizations are encouraged to sponsor or provide scholarships for participants. Community leadership is personified by the volunteers who serve as panelists for the weekly sessions. Representing government, industry, business and community service agencies, these resource panelists provide divergent viewpoints and alternative solutions on the weekly topic. Each session provides an open forum, fresh ideas and an information exchange between participants and representatives from various community sectors. Participants in the Academy, who range in age from teenager to senior citizens may be self- sponsored or sponsored by their employers or other civic organizations. In addition, New Castle Rotary and Optimist clubs sponsor attendees from each of the five county high schools as well as home schooled students. The Academy seeks at least twenty adult participants for each class who have demonstrated their potential as leaders and who have shown concern for their community. To receive a certificate, a participant must attend at least 80% of the sessions and complete the project. The application must be completed and returned to the NC-HC Chamber of Commerce with a $150.00 non-refundable check for the program.